This oceanfront resort was designed for travelers seeking a secluded tropical vacation with all the comfort of home, along with fine cuisine, pampering spa treatments, free organized activities, and one of the best white sand beaches in the Caribbean. 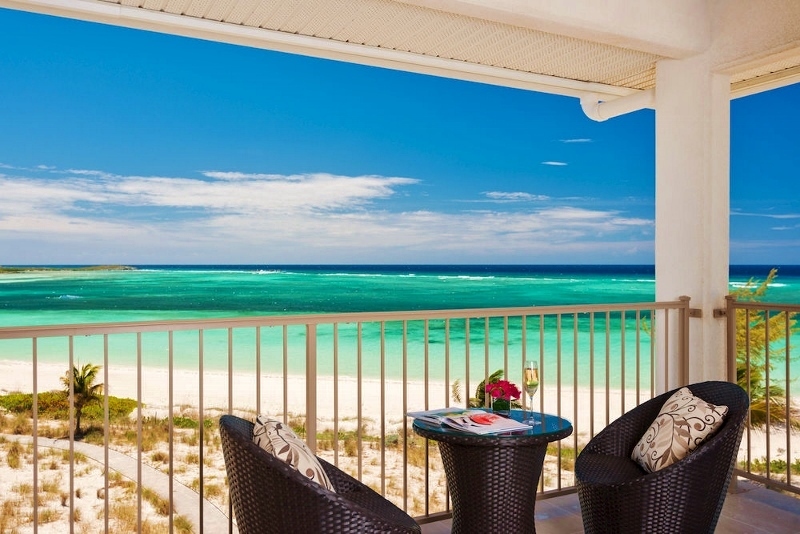 East Bay is just minutes away by flight from Providenciales, and offers a variety of guest rooms and suites, from standard rooms that are ideally suited to vacationers seeking value priced lodging to luxurious two bedroom suites with panoramic private balconies and spacious floor plans. 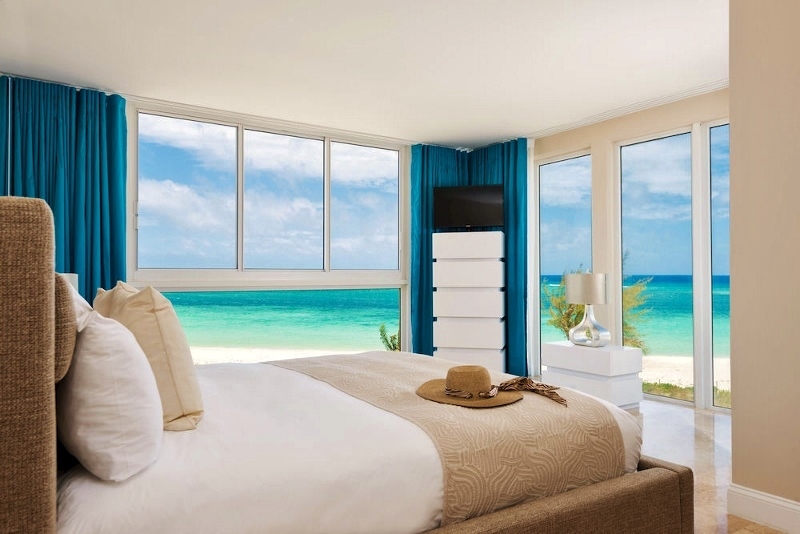 Clear ocean views can be enjoyed from most of the resort’s guest accommodations. Suites have open concept living areas that include 42-inch flat screen TV’s, comfortable queen size pullout couch, and fully equipped kitchens. Each unit is air conditioned and furnished with contemporary design. 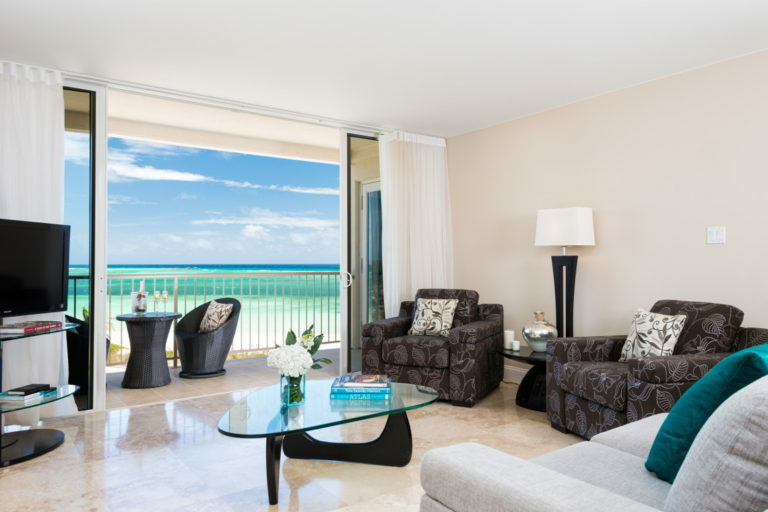 Cable TV and complimentary Wi-Fi is included in every room. Additional amenities offered in suites include a washer and dryer, and iron and ironing board. Bedrooms have large closets, a flat screen TV and laptop size safety deposit boxes. Bathrooms feature marble top vanities, showers, complimentary Elemis toiletries and hair dryers. 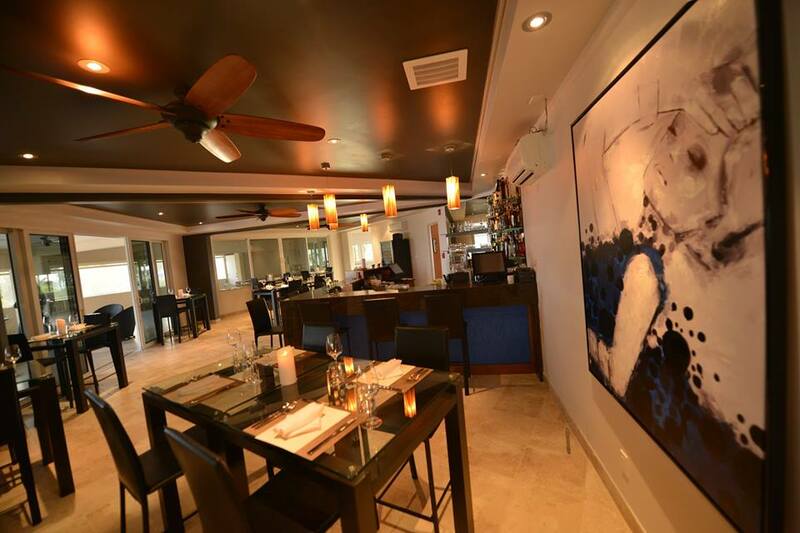 East Bay Resort’s culinary vision is a blend of simplicity and sophistication. From breakfast to evening cocktails, the resort features an internationally inspired menu incorporating island flavors. Breakfast is always included in the rate! BLU, the resorts signature restaurant is open daily for breakfast, lunch and dinner. Specials, Packages and Optional All Inclusive Plan! Jan 2, 2017 - February 10, 2017 - 60% off your stay! Feb 11, 2017 - April 16, 2017 - 25% off your stay! Meals are ordered from the resort's a la carte menus. There are no buffets or restricted menus. You can enjoy a quality dining experience at every meal, all for a fixed price. This value packed plan includes daily meals and all beverages (served by the glass). 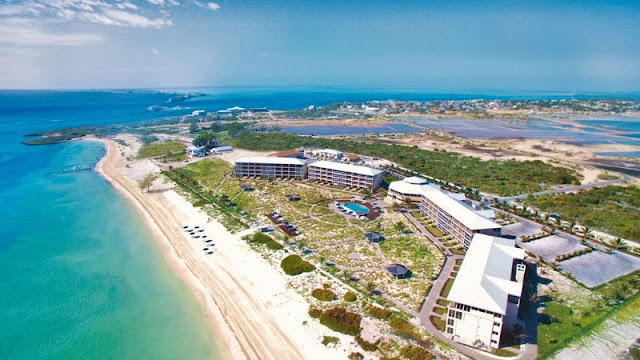 Complimentary resort amenities include: Kayaks, paddle boards, snorkeling equipment and bicycles, free organized activities that include an historic island land tour, snorkeling, Long Cay excursion and more!